VEASEY, MEDWICK N. [JOE MEDWICK] (1931–1992). 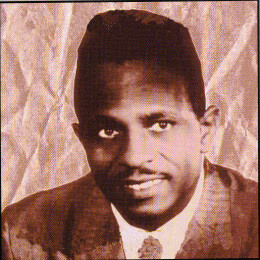 Joe Medwick (aka Joe Veasey, Joe Masters, and Joe Melvin), prolific blues and R&B songwriter and vocalist, was born Medwick N. Veasey in Houston, Texas, on June 21, 1931, the son of Rayfield Veasey and Renatta Watson. Though mainly noted as a lyricist whose songs were often covered by other singers, Veasey, best-known both personally and professionally as Joe Medwick, also recorded and released material (under pseudonyms) on various labels from 1958 through 1988. A lifelong Houstonian, Veasey grew up in Third Ward and attended Yates High School. As a youth he reportedly adopted the nickname “Joe” as a prefix to his given name because of the national popularity of the major league baseball player Joe Medwick (who first starred for the St. Louis Cardinals in the 1930s). In his teens Veasey launched his singing career, performing with the Chosen Gospel Singers for approximately four years before turning his focus to secular music. Medwick N. "Joe Medwick" Veasey. Image available on the Internet and included in accordance with Title 17 U.S.C. Section 107. Following an early-1950s stint serving in the United States Army in Korea, Medwick returned home and established himself at the Third Ward venue Shady’s Playhouse, a legendary showcase for blues musicians, some of whom (including Medwick’s frequent collaborator, pianist Teddy Reynolds) resided in the backyard cabins that the proprietor Vernon “Shady” Jackson offered for rent. There Medwick not only got to sing onstage but launched his major phase as a writer. During the mid-1950s he frequented a table at Shady’s Playhouse during the day and wrote lyrics on tablet paper and socialized with resident musicians such as Reynolds, whom he could engage on the spot to help him set the newly-minted words to music. Given the burgeoning success of blues and R&B recording in Houston during this era, Medwick was often able to sell the resulting material almost immediately to local music producers. In doing so, he rarely asked for formal contracts to establish proper songwriting credit for himself, instead choosing to peddle the songs outright—thereby surrendering any rights to potential royalty payments—for ready cash. Thus, among his musician peers and industry insiders (if not always supported by publishing documentation), Medwick is commonly known to have written or co-written many songs which became hits for other artists with the writing credits typically attributed exclusively to the person who had purchased (and thereafter registered the copyrights on) the compositions. Veasey given writing credits on Bobby Bland's recording of "Farther Up the Road." Image available on the Internet and included in accordance with Title 17 U.S.C. Section 107. The most frequently cited examples of this phenomenon occurred in Medwick’s transactions with Don Robey, who was no songwriter himself but, among other things, the owner of the nationally prominent Duke Records. Certain hit songs (R&B classics such as “I Don’t Want No Woman,” “I Pity the Fool,” “Cry, Cry, Cry,” “Turn On Your Love Light” and others) recorded by Duke’s biggest star, Bobby Bland—particularly most of those that ascribe the songwriting to Robey or to Deadric Malone (the alias he later adopted to deflect criticism)—are widely believed to have originated with Medwick. However, in a few cases, such as the song “Farther Up the Road” (which was a Number 1 hit for Bland in 1957 and later also recorded by rock star Eric Clapton), Medwick did receive half of the writing credit, shared with Robey (although Medwick’s actual co-writer in this case reportedly was Johnny Copeland). In a 1990 article for the Houston Chronicle, Medwick retrospectively acknowledged his poor judgment in choosing to trade songs to Robey for instant cash, yet he also absolved Robey of blame for exploiting his talents as he did. Moreover, as a singer Veasey, billing himself as Joe Medwick, also recorded some of his own compositions for Robey, resulting in three Duke singles issued in 1958–59. Joe Medwick's Album, I'm an After Hour Man. Image available on the Internet and included in accordance with Title 17 U.S.C. Section 107. Beyond his affiliation with Robey, in the 1960s and early 1970s Veasey sold songs to various other Houston-based producers, including Huey P. Meaux, Steve Poncio, Charlie Booth, and Roy Ames. He also occasionally recorded for them, usually as Joe Medwick but also as Joe Masters or Joe Melvin; these tracks were released on small labels such as Paradise, All Boy, Boogaloo, Pacemaker, Jetstream, Monument, Tear Drop, Westpark, Kimberly, and others. In 1978, drawing from his archive of previously produced material, Meaux issued a Joe Medwick LP album titled Why Do Heartaches Pick On Me on the Crazy Cajun Records label. In 2000 many of those and other Meaux-produced tracks resurfaced in CD format on the posthumous Joe Medwick album titled I’m an After Hour Man released on the British imprint Edsel. Following a period of little or no professional work in music, Veasey reactivated his career in the mid-1980s when he joined a band of reunited Houston blues veterans led by saxophonist Grady Gaines. As a featured singer, Veasey made his final recordings, published under the Medwick alias, on two tracks of the Full Gain CD by Grady Gaines and the Texas Upsetters, issued on the New Orleans-based Black Top label in 1988. Though never formally married, Veasey is known to have fathered one child with Sarah Jean Braxton (aka Broadnax). He died on April 12, 1992, at his home in Houston. As a military veteran, Veasey is buried in Houston National Cemetery. Andy Bradley and Roger Wood, House of Hits: The Story of Houston’s Gold Star/SugarHill Recording Studios (Austin: University of Texas Press, 2010). Galen Gart and Roy C. Ames, Duke/Peacock Records: An Illustrated History with Discography (Milford, New Hampshire: Big Nickel Publications, 1990). Alan Govenar, Meeting the Blues: The Rise of the Texas Sound (New York: Da Capo Press, 1995). Houston Chronicle, June 17, 1990; April 16, 1992. “Joe Medwick,” Sir Shambling’s Deep Soul Heaven (http://www.sirshambling.com/artists/J/joe_medwick.htm), accessed November 12, 2010. 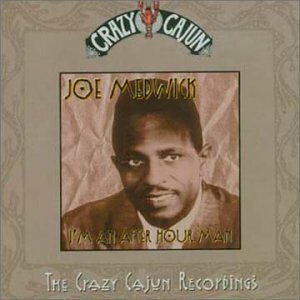 John Nova Lomax, Liner notes to Joe Medwick: I’m an After Hour Man—The Crazy Cajun Recordings (Edsel Records [CD 632], 2000). Roger Wood, Down in Houston: Bayou City Blues (Austin: University of Texas Press, 2003). Handbook of Texas Online, Roger Wood, "VEASEY, MEDWICK N. [JOE MEDWICK]," accessed April 22, 2019, http://www.tshaonline.org/handbook/online/articles/fve25. Uploaded on May 6, 2013. Modified on July 27, 2017. Published by the Texas State Historical Association.